Which Disneyland Resort Hotel Should I Choose? Which Disneyland Resort Hotel is best for your next vacation? That question can be difficult to answer without knowing your resort options. Let’s break down the resorts and look at the advantages each has to offer. Disney’s Paradise Pier hotel is a competitively priced hotel in its class. This affordable hotel offers convenience and a great Disney Resort atmosphere. Lobby- A statue of Goofy holding a surfboard will greet you upon entering the lobby in this boardwalk themed hotel. The bright setting, Disney touches, and marine style decorations will give you the feel of a day at the beach. 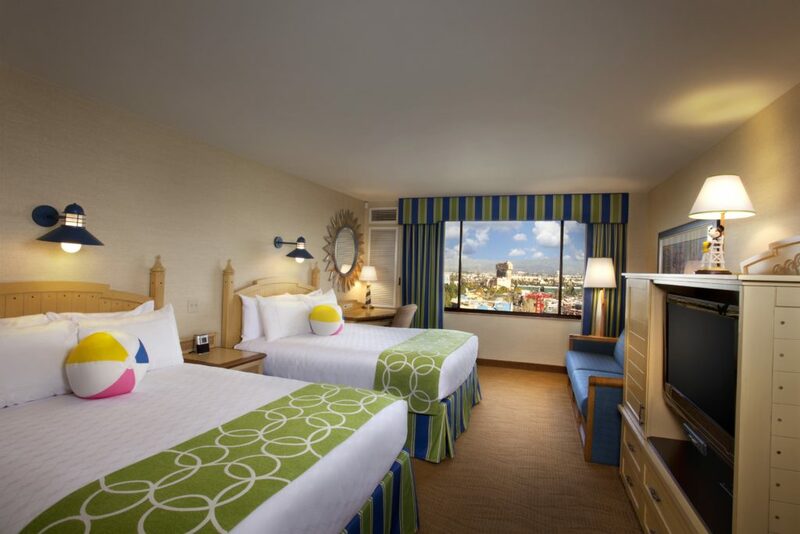 Room- If you want a theme park view, there are rooms available that will give you a good outlook on Disney’s California Adventure. The rooms are very airy with large windows that let in the beautiful California sun. Pool- The hotel pool is located on the third floor and features a water slide that provides hours of fun. Not only can you relax at the pool, but you can hear music piped in from Disneyland Park while watching the fireworks. Proximity to the Parks- The entrances to both Disneyland Park and Disney’s California adventure are about a 15-20 minute walk through Downtown Disney from this hotel. 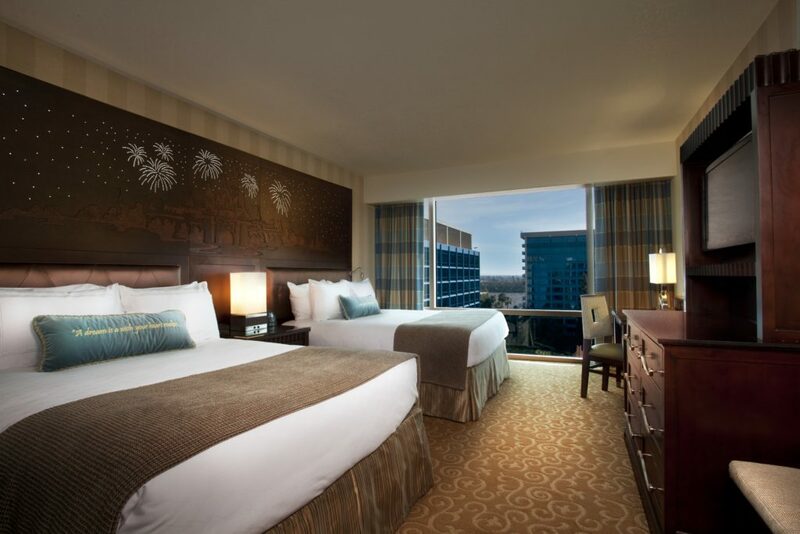 If you truly want to immerse yourself in all things, Disney, then this is the hotel for you. The original Disneyland hotel has undergone a few renovations, but has never lost it’s Disney touch. The magic is alive the moment you arrive. Lobby- When you first walk into the lobby, you may not be aware of the subtle touches that make this hotel like no other. After a few minutes, you will start to realize that the sitting chairs in the lobby are teacups along with other touches that bring this hotel’s theme together. Room- The most noteworthy part of this hotel room is the musical light up headboard of Sleeping Beauty’s Castle. Everything in this room is completely Disney themed including the light fixtures and bathroom accessories. Pool- The Monorail themed water slide has one slide for a more thrilling experience and another for a more relaxed ride down to the bottom. Little ones can enjoy a 2-lane mini slide located in the same area as the Monorail Slide. The swimming areas are separate from the water slides and have signs posted resembling the theme park tickets of yesterday. This unique and expansive pool offers a little something for everyone. Proximity to the Parks- The Disneyland Hotel is closest to the monorail station that takes you into Tomorrowland inside Disneyland Park (valid theme park admission required). This hotel is a short 10-15 minute walk to the theme parks. Artisan Suite at Disney's Grand Californian Hotel & Spa © Disney Room requests are based on availability and are only guaranteed at the time of hotel check-in. As soon as you walk into Disney’s Grand Californian Hotel & Spa, you will realize the name of this resort hotel is well suited. This luxury hotel is themed around California Craftsmanship and has a cozy atmosphere. Lobby- When you walk into the lobby, you will be greeted with high ceilings, wood architecture, and a piano player playing soothing melodies. In addition, this area is an excellent meeting place. Room- The natural and warm feeling of this hotel is not lost when you walk into your room. Room patios and balconies are available at this hotel. Furthermore, you can use your room key to access Paradise View Terrace where you can watch World of Color. Pool- Natural stone and brick make up the layout of the three pools at Disney’s Grand Californian Hotel & Spa. The 90 ft water slide brings fun and entertainment for everyone while you relax poolside. 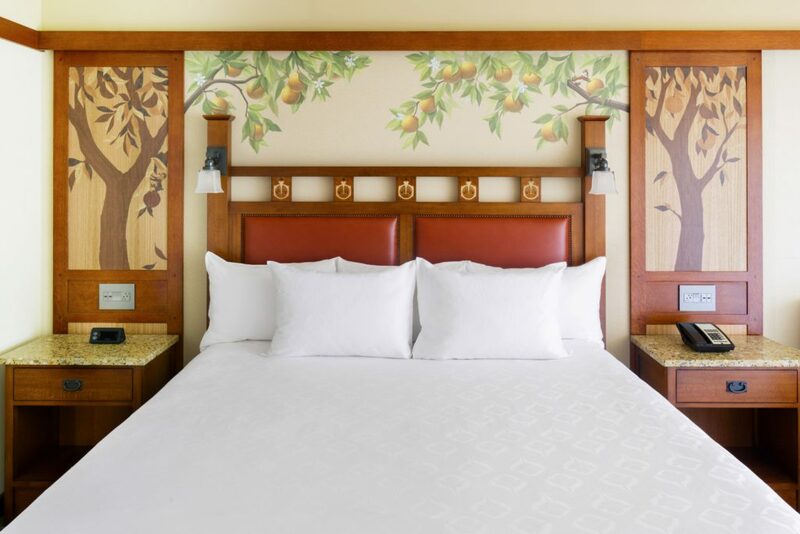 Proximity to the Parks-Disney’s Grand Californian Hotel & Spa is the closest resort hotel to Downtown Disney, Disneyland Park, and Disney’s Grand California Adventure. Your gold key will allow you to enter Disney’s Grand California Park through a private entrance exclusively for guests staying at this hotel. Choosing the right Disneyland Resort Hotel is an integral part of your vacation planning, and each hotel offers a unique experience with different advantages. 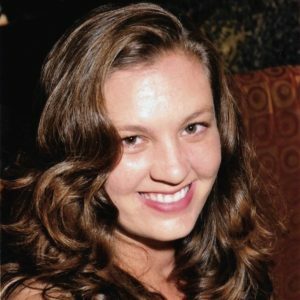 Being informed about what each hotel offers will aid in making the right choice for you. Which one of the Disneyland Resort Hotels did you choose?